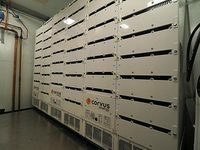 Corvus Energy has announced that it has received Type Approval by DNV GL for its Orca Energy energy storage system (ESS) for use in battery-powered or hybrid vessels and off-shore units. DNV-GL approval confirms that the latest generation of ESS from Corvus Energy has been found in compliance with international standards, regulations and recognised DNV GL rules. This approval also confirms the high quality and safety standards that Corvus has designed into Orca Energy. The Orca Energy ESS was awarded Type Approval Certificate No. TAE000026N, which is valid to August 2022. Products approved by this certificate are accepted for installation on all vessels classed by DNV GL. 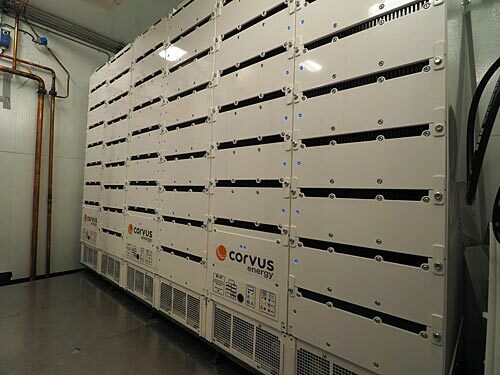 As the leading manufacturer of energy storage systems for maritime applications, Corvus continues to lead the industry with 90+ installations utilising a Corvus ESS, now totaling over 50 MWh and 1.5 million operating hours.